Track which forms are required based on each student's needs, which forms have been completed, and which forms still need to be completed. + Simplify the complex IEP process by keeping track of the data submitted and the data that is still required. + Ensure that IEP case files and reports meet state and district standards for content, meetings, and reporting progress. 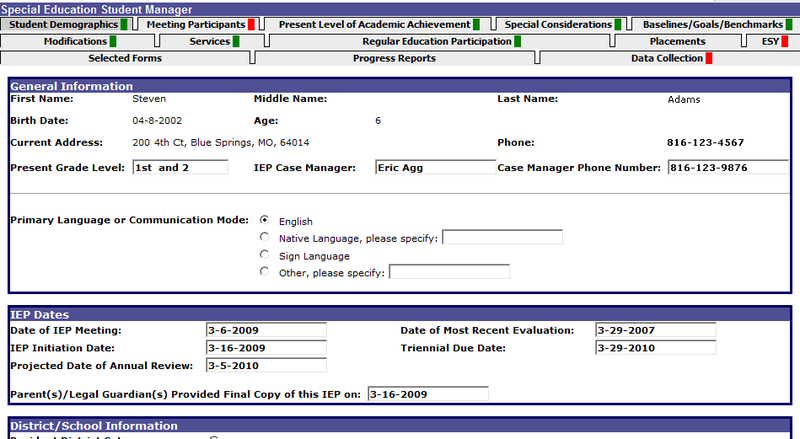 + Manage and track all information, forms, and reports for K-12 individual evaluation programs. 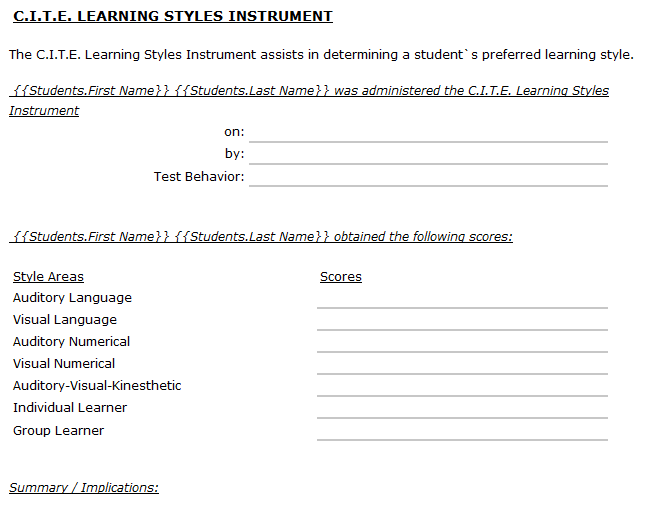 + Teachers can build online files to track a student's individualized evaluation program. 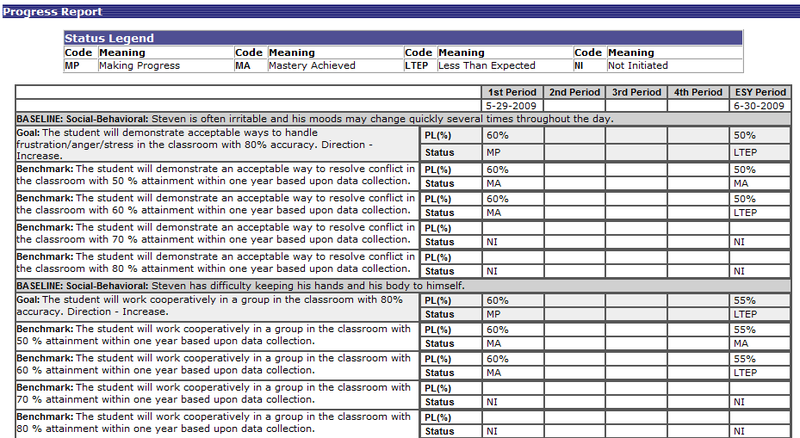 + Automatically generate a progress report based on the goals and benchmarks defined for the student by the teacher. + Provide standardized and comprehensive IEP evaluation reports for parents at IEP meetings.